This is a story about longboard skateboarding and some things I’ve learned about it over the last year. 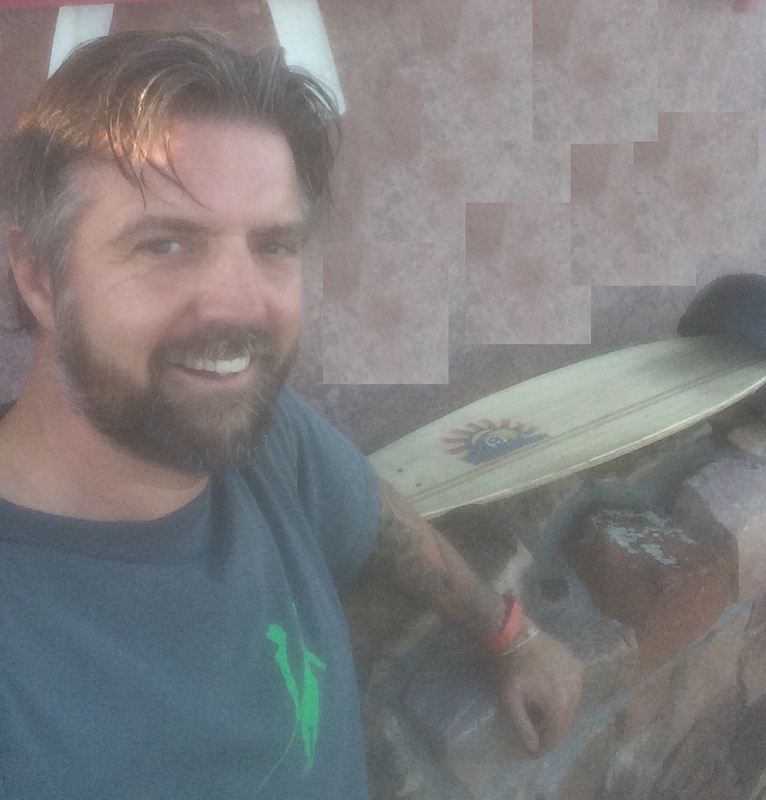 Before I jump into the skateboarding part though, I need to share a little back story about why, at age 48, I feel the need risk broken bones and road rash to careen down the hills east of Sandia Mountain in New Mexico. Around February 2007, I was living in the Florida Panhandle when a friend of mine invited me to come out to the beach and try something called “standup paddleboard surfing.” Using a borrowed wetsuit and a borrowed 11’ Nash paddleboard and paddle, I attempted to paddle out into a churning surf that looked like it was being created by a giant washing machine agitator. It was one of the most exhausting hours of “fun” I’d ever experienced. Even though I didn’t come close to catching a wave, or even standing up for that matter, I was hooked. A month later I bought my own paddleboard. By that summer, I was at the beach constantly. On days with good surf, I would go out and catch waves. On flat days, I’d paddle up and down the beach, watching the assortment of sea life below my board: jellyfish, pompano, and even the occasional green sea turtle or Atlantic bottlenose dolphin. Life was good. Shortly after I bought the longboard, circumstances in my life changed and I left Florida. I sold off the paddleboard, but (thankfully) I hung onto my longboard. In 2012, after a couple years of living inland and not surfing at all, I jumped at an opportunity to move to Southern California. 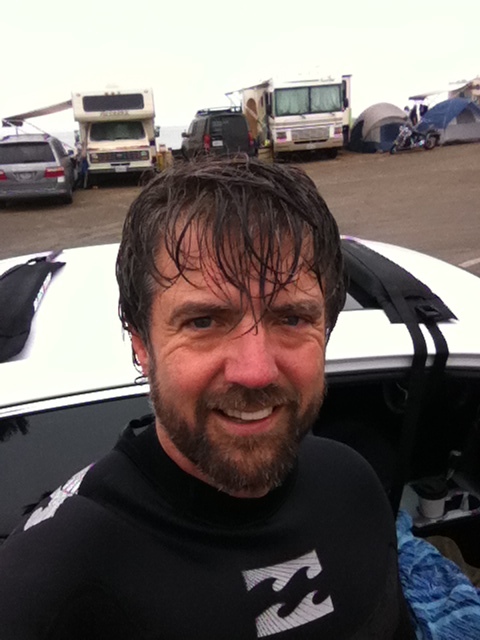 Even though I only lived in Ventura County for a year, it was good to be back to surfing again. I missed my paddleboard, but I was grateful to be back in the water. I have some great memories of early morning surfing at Mondos Beach and playing tag with the sea lions. But job changes and life changes happened again, and today I find myself living near Albuquerque, New Mexico. My surfboard still hangs in the garage; I didn’t have the heart to sell it. Last Christmas, knowing that a move to New Mexico could be coming, my awesome girlfriend bought me a Sector 9 longboard skateboard. From the first time I took it out, I knew it would make for a suitable substitute for surfing, as well as be a great way for me to keep my balancing skill sharp for the northern New Mexico ski and snowboard seasons I might soon be enjoying. I’ve always been a minor-league adrenaline junkie. Personally, if there’s not a small chance I’m going to hurt myself, then it’s probably not something I’ll enjoy all that much. Arguably, skateboarding is a young person’s sport. Like a lot of other sports that involve balance and wheels turning quickly over the earth’s surface, it’s not a matter of if you’ll crash, but when. And let’s face it, 18-year-olds heal a lot faster than 48-year-olds, plus they have that sense of invincibility that makes them more prone to push limits, whereas those of us who’ve seen a lot more sunrises tend to be a bit more conservative. With that thought in mind, I think someone in their late-forties or even older is more than capable of taking up skateboarding. The key to not winding up in the emergency room is knowing…and respecting…your own limitations. With that said, here are a few tips I’d offer a new skateboarder of any age. 1. Get out there and skate! Conventional wisdom probably says I should hound you about safety gear first and foremost. And yes, safety gear is important, but I’m going to talk about that later. What I really want to stress here is that you’ll never be good at anything unless you get out there and do it…a lot. With a skateboard, the more you ride it, the more it becomes an extension of your body. 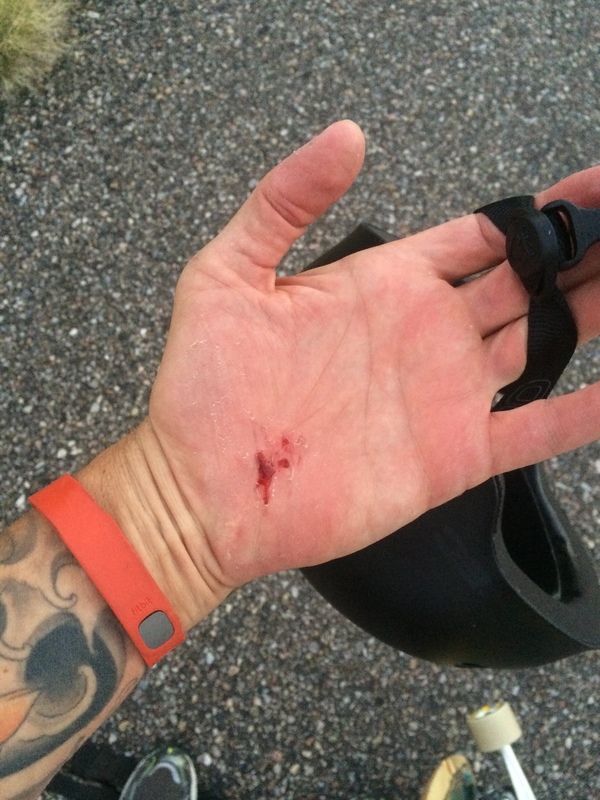 Most of what you learn when you ride a skateboard comes through trial and error. The more you ride, the more you can sense when you’re going too fast, when you’re turning too deep, or when you’re about to lose control. There’s a lot going on below your feet when you’re riding. The more time you have feeling the board beneath your feet, the less likely things will surprise you and send you sprawling across the pavement. Speaking of sprawling across the pavement, at some point it’s probably going to happen, so it’s always a good idea to wear protective gear. At a minimum, wear a helmet. I usually roll with a helmet and some leather gloves. When I get to the point where I’m rolling at higher speeds and doing big downhill runs, I will eventually wear knee and elbow pads and slide gloves. Wearing a helmet is crucial, because you can strike your head pretty hard even at a low-speed crash. Case in point, I was out with my girlfriend (Zia) and her eight year-old daughter (Little Coyote) a couple of months ago, skating on a short hill near my home. I was wearing my helmet mostly just to set a good example for Little Coyote. Normally I wouldn’t have been wearing one on this particular hill. I was practicing some deep turns at a low speed when I over-skidded on the toe-side and stumbled, falling over backwards. I was barely moving with any speed, but the back of my head struck the pavement hard. Had I not been wearing a helmet, I definitely would have split the back of my head open, and probably even had a concussion. After that incident, I ALWAYS wear a helmet now. Also, as I become more confident in my riding and start digging deeper into turns at greater speeds, the more likely I am to take a spill, especially on my heel-side (backwards). Instinct is always to stick a hand out there to break your fall. Leather gloves won’t save your wrists when this happens, but it will help prevent a painful road rash on the palm of your hand. All too common “road rash.” Wear gloves…or don’t fall. Either way is good for your skin. 3. Learn about your skateboard and its parts. I had a couple of skateboards in the 70’s when I was a kid. I even had one that my dad helped me make by cutting the wheels and mounts off a pair of roller skates and bolting them to a piece of pine board. Skateboard technology, especially with wheels, has come along light-years since then. There are specific board setups for all different kinds of riding, whether you plan to carve up the ramps at a skateboard park, freestyle ride down gentle slopes, or bomb big hills. Take some time to research the type of riding you want to do. YouTube is a great source of information. 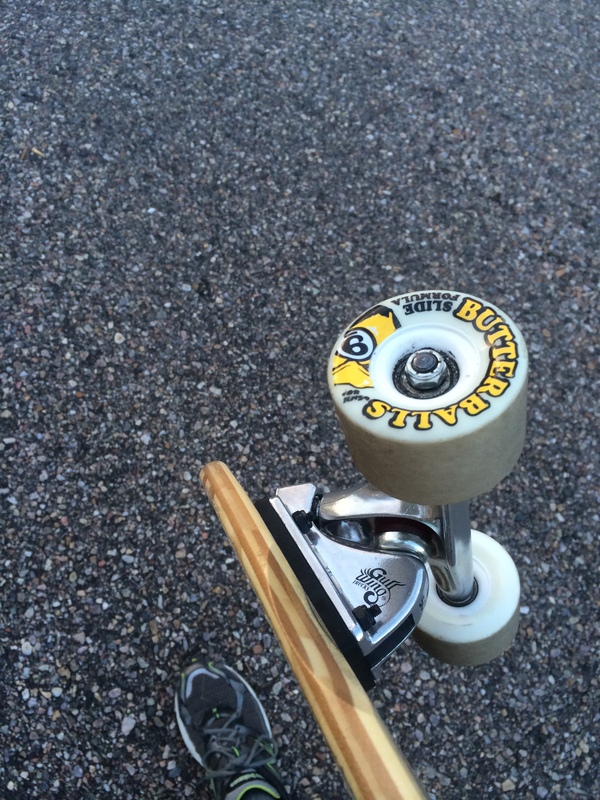 For me, the original wheels that came on my board were great for standard freestyle riding, soft and grippy. But I wanted to learn to control my speed more by sliding the wheels, and I found out that the wheels I had were the wrong durometer for sliding. Watching skateboard wheel reviews on YouTube helped immensely when it came to finding the right wheels for the type riding I wanted to do. (Also, big credit to Skate City Supply in Albuquerque! They not only sold me some awesome wheels, but they showed me how to change them out as well.) There’s a lot to know and learn about skate wheels. Check out this very cool and very informative Skate Wheel Infographic! 4. Know your limits, but don’t be afraid to push them. Like surfing, skateboarding should be all about having fun. Do what’s fun for you…always! For me, the fun comes with learning new skills and riding that fine line between exhilaration and terror. (Exhilaration: a controlled, fast descent down a long, gentle hill. Terror: Way too fast, “speed wobbles,” and a fast approaching STOP sign with cross-traffic. I’ve experienced both!) On a skateboard, it’s very easy to find yourself in over your head before you even realized it’s happened. Most of the time, it’s because you’ve reached a speed that surpasses your abilities to slow down or stop. If the “want” to stop becomes a “need” to stop, then your short list of options is just basically choosing the least painful way to “eat it.” To avoid this situation (even though it is chocked full of valuable lessons), here’s some sage advice. 6. Don’t skate faster than you can sprint. 7. Know the surface you’re skating. As I’m walking up a hill I plan to ride, I watch the surface for things like loose gravel, extra-wide cracks in the road, grass growing in the middle of the road, coyote poop, basically anything I want to avoid on my way down. Skateboard wheels today are made of high-tech urethane and can pretty much handle anything they roll over (not like the 1970’s, where a single pebble would stop your board instantly and launch you into a low-trajectory orbit). Regardless, hitting gravel or a clump of grass in the middle of a deep, sliding turn can make your board do some crazy things. It’s best to know what lies ahead before you get there. I admit, it looks cool to cruise down the road on your longboard listening to your favorite tunes on your iPod. However, the reality is I usually hear a car before I see it. Maximize use of all your senses when you ride. Rediscovering skateboarding as an adult has been an incredible experience. I wish I had taken it up years ago, even though most of the places I’ve lived (like the Florida panhandle) weren’t really conducive to longboarding. Regardless, I’d recommend it to anyone willing to give it a try. On a parting note, next spring I’m going to start incorporating “paddling” back into my game! Until next time, get out there and stop acting your age!